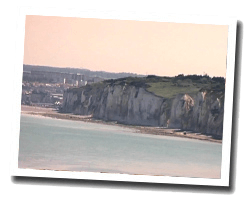 Varengeville-sur-Mer offers the typical landscape of the Alabaster Coast: white cliffs and green meadows. There are also remarkable gardens. It have inspired many painters, including Claude Monet and Georges Braque. Many artists are buried in a marine cemetery, along the cliff. At the seaside you can find a beach of sand and pebbles perfect for families and fishermen. 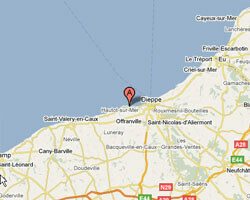 In Varengeville-sur-mer enjoy a seaview holiday rental. Les Lodges de la Villa Quartz is 4 km from the centre of Varengeville-sur-Mer and 250 metres from the beach. It offers self-catering apartment 1 bedrooms of 30m2 with sea views, a modern-style décor and a furnished terrace.